Shopping for Wizard of Oz Home Decor? Inspired by the classic film, The Wizard of Oz, Jim Shore brings his unmistakable folk art style to this delightful lidded box. Inspired by Glinda's glittering crown , this colorful creation hides the Good Witch of the North's magic wand inside. 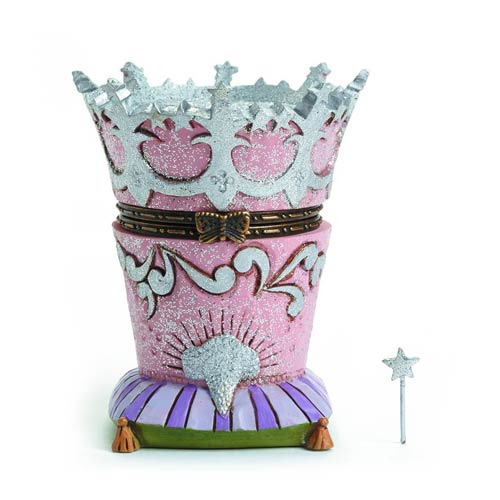 Made of stone resin, this Wizard Of Oz Glinda Crown Treasure Box stands approximately 3-inches tall. Perfect for storing all your trinkets!